Irish Ambassador Michael Collins and his wife Marie came to Charleston for a weekend as one of his last functions in the US. Ambassador Collins has spent 6 years in the US and has made a number of changes including adding the first new Irish Consulate in 70 years. 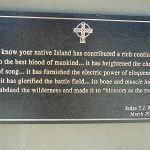 Irish Counsel General Paul Gleeson joined him at the dedication. Other guests from the Emerald Isle included members of County Clare and the Mayor and members of the Ennis City Council. Ennis is the largest city in county Clare. Monday morning started with a breakfast for the Ambassador to meet and speak to corporations who do business with Ireland. 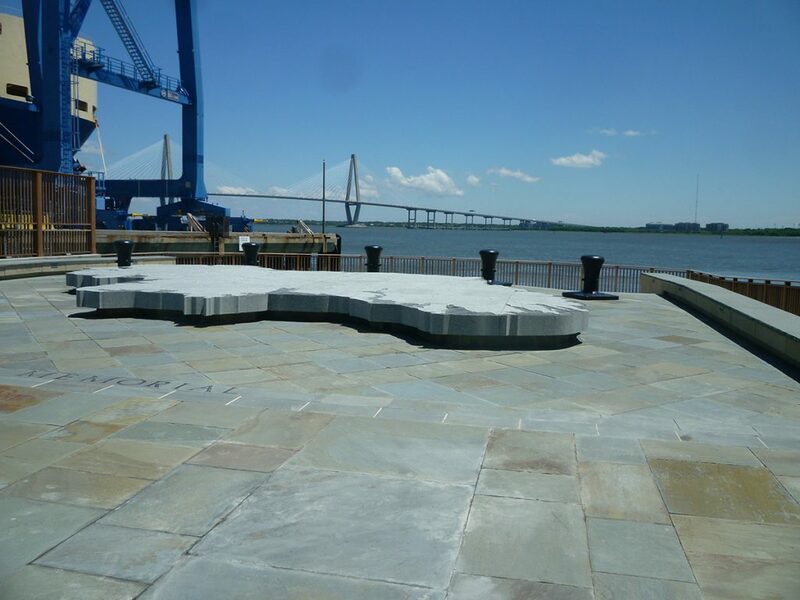 This was held at the Harbor Club, sponsored by the SC State AOH and hosted by the World Trade Center of the Chamber of Commerce. 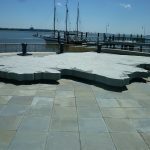 The Irish ambassador to the United States and other dignitaries gathered in Charleston to dedicate a memorial noting the contributions of the Irish to the state of South Carolina. 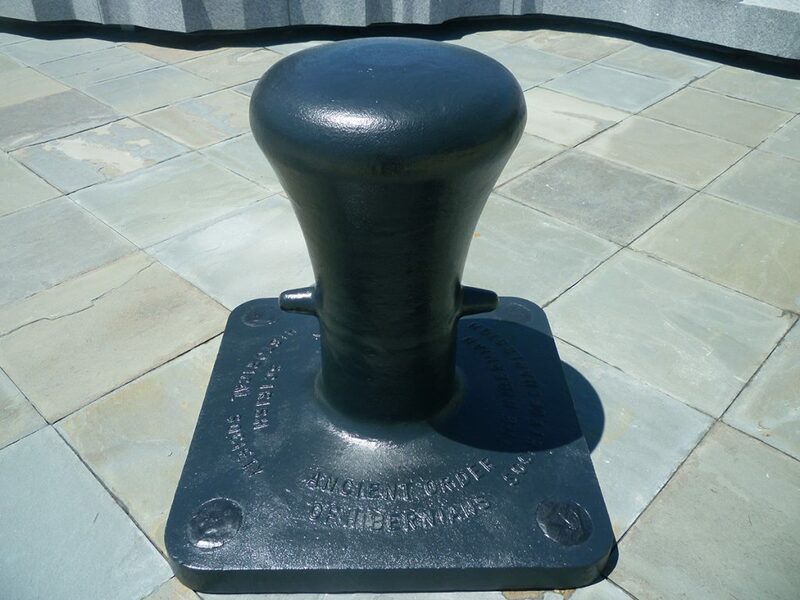 The morning ended with the dedication ceremony. 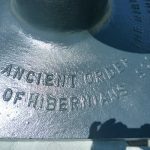 Main speakers were Mayor Joe Riley, Irish Historical Society Judge Michael Duffy (Chairman), Mayor of Ennis, Consul General Paul Gleeson and Ambassador Michael Collins. The others on the stage were Al Stiles, President Charleston AOH, James P Nettles Jr, SC State AOH President, and Denis Bergan, Chairman of the James Hoban Society. 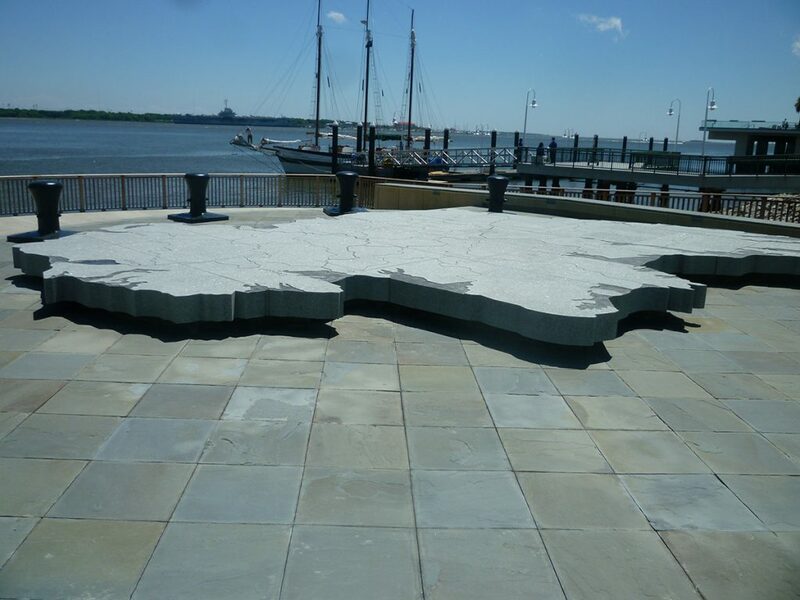 Located at the end of Charlotte Street, the $2.4 million “South Carolina Irish Memorial” features a concrete pier extending over the water, and a raised 30-by-24-foot carved granite map of Ireland. 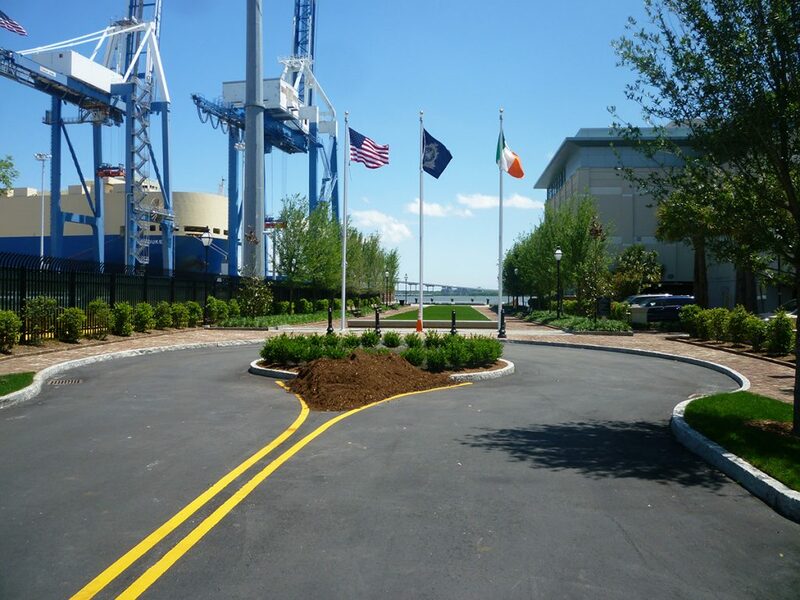 It also includes flagpoles with the Charleston, American and Irish flags along with plaques containing quotes about Irish immigration to this country, and an Irish Mayors Gate. 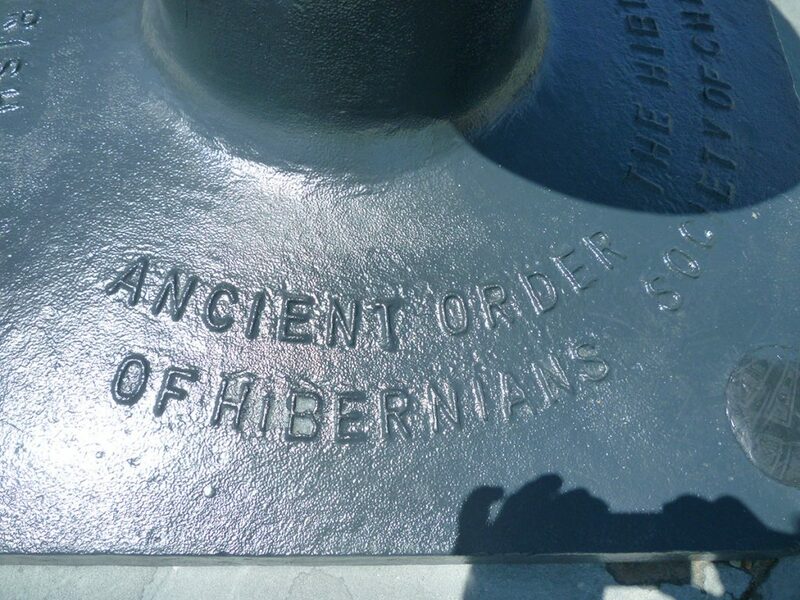 The park was created by the city of Charleston, the South Carolina Irish Historical Society, the South Carolina Ancient Order of Hibernians and the James Hoban Society. 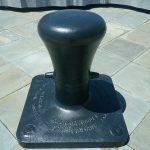 The monument idea dates back nearly 20 years. Advocates wanted to memorialize some of the city’s earliest residents and some of the families that contributed to the local tapestry. 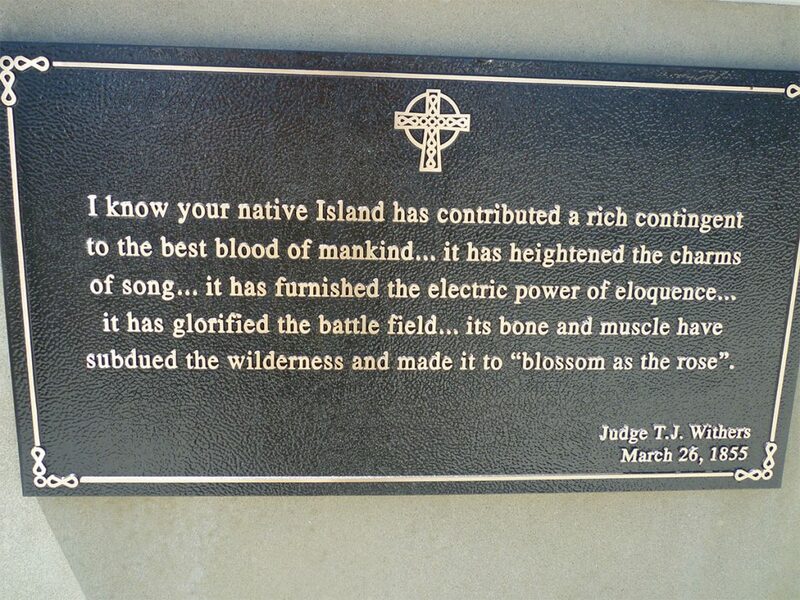 Irish roots in Charleston and the state run deep. 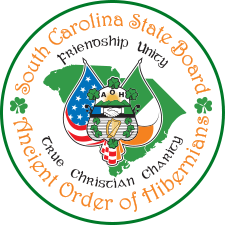 South Carolina Irishmen gained fame for fighting in the Civil War and worked on bridging the harbor. They signed the Declaration of Independence and ran the city as powerful mayors. Others played more unsung roles from the bottom of the social ladder. 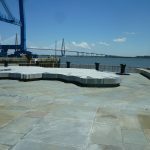 Charleston’s modern-day Irish community raised about $400,000 for the memorial, with another $50,000 dedicated to maintaining it. 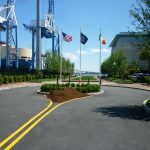 The park, officially dubbed Charlotte Street Park, provides the endpoint to the city’s harborwalk, a path that ultimately will wrap all the way around the peninsula’s southern edge, from Brittlebank Park to Charlotte Street.